The Land Of Moriah Or Jerusalem and the Adjacent Country. Jeruzalém Kiepert, Heinrich Berndt, E. Simon Schropp & Co.
Sheet XVIII. Palestine Exploration Map. 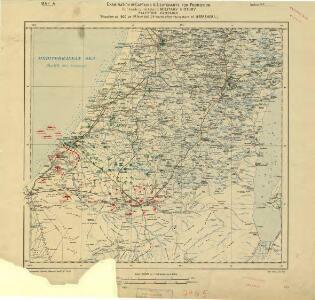 Description: Palestine campaign: Situation at 1800 on 1st Nov. 1917 (24 hours after the capture of Beersheba), GSGS 2965. Creator: Great Britain. General Staff. Geographical Section.